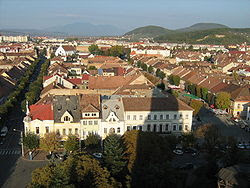 Bistriţa (German: Bistritz, archaic Nösen; Hungarian: Beszterce) is the capital City of Bistrita-Nasaud County , Transylvania, Romania. It is situated on the Bistrita River. The city has a population of approximately 80,000 inhabitants. The earliest indication of settlement in the area of Bistriţa is from Neolithic remains. Pechenegs settled the area in 12th century due to attack from Cumans and were given name of Beszterce's district as Besenyő (Hungarian of them) which was centered by Beszterce. Transylvanian Saxons settled the area in 1206 and dubbed the region "Nosnerland". The destruction of Markt Nosa ("Market Nösen") by M0ngols heading toward Central Europe was described by a document from 1241. Being situated on several Trade routes, Bistriţa became a flourishing Medieval trading post. 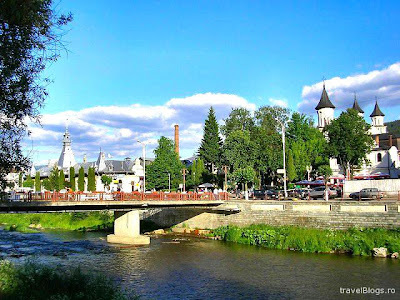 The town was named after the Bistriţa River, whose name comes from the Slavic word, bystrica meaning "the limpid water". Bistriţa became a Free royal town in 1330. In 1353 it gained the right to organize an annual 15-day fair, as well as a seal containing the coat of arms of an ostrich with a horseshoe in its beak. In 1465, the city's fortifications had 18 defensive towers and bastions defended by the local guilds. It was also defended by a Kirchenburg, or fortified church. It became part of Romania after 1919, except during its reversion to Hungary between 1940 and 1944. 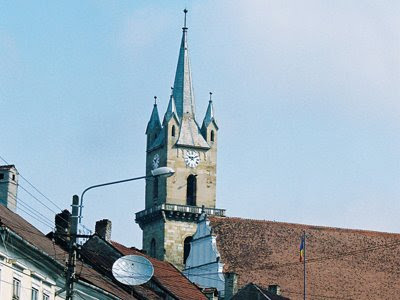 The main attraction of Bistriţa's central square is the Lutheran church, which was built by the Transylvanian Saxons and originally constructed in the 14 th century in Gothic style but later remodeled between 1559–1563 by Petrus Italus with Renaissance features. 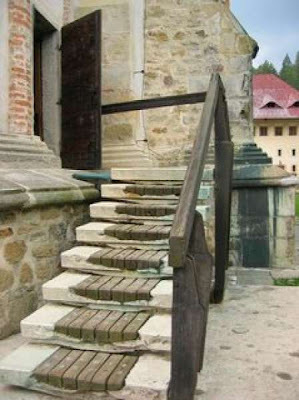 It was re-renovated in 1998. 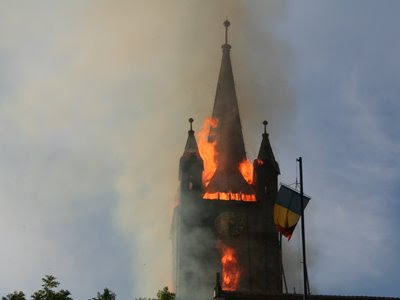 On June 11, 2008, the tower and roof of the church caught fire for reasons that are yet unknown. The main part of the church suffered just a little damage and is not in much danger, the interior being intact. It is speculated that both bells residing in the tower (one dating from the 15th century,the other from the 17th) might have melted. The church suffered from fire in 1857, when the tower's roof and the bells were destroyed. The roof was rebuilt after several years. The Bistriţa-Năsăud County Museum, located in a former barracks, contains Thracian, Celtic, and German artifacts. 19th century fires destroyed much of the city's medieval citadel. In Bram Stocker`s novel Dracula , the character Jonathan Harker visits Bistriţa and stays at the Golden Krone Hotel (Romanian: Coroana de Aur). Although no such hotel existed when the novel was written, a hotel of the same name has since been constructed for tourists.